Phoenix shares 20 years knowledge on setting up DIY community Centres. Well worth watching if your looking to set up any kind of eco or community Project. This is many years compressed into a 30-40 minute workshop at the new London Queer Social Centre. Public library services and staff are under threat from cuts and closures on a massive scale. We are asking people to join with us to Speak Up For Libraries – both now and in the future. We need action now to safeguard the future of the public library service as a whole. The Speak Up For Libraries coalition conference for library supporters is on Saturday 10 November 2012. It will be held at CILIP's building in Bloomsbury, Central London. One from the Tribal Archives,Tribal voices was a music recording camp that grew out of the early road protests and the incredible magickal music that was created around the fires on many a windy hill top. The protests led us a magical mystery tour across the ancient sacred magical map of Britain. Wherever the land and trees were in danger Tribe gathered ,met and moot.Barefoot on solstice and equinox. This tribal movement spread its influence far and wide. The Law is the Law. Police and Judges are bound by position, duty and oath to uphold International and Domestic law. At present they are in breach. ot relieve him from responsibility under international law, provided a moral choice was in fact possible to him. 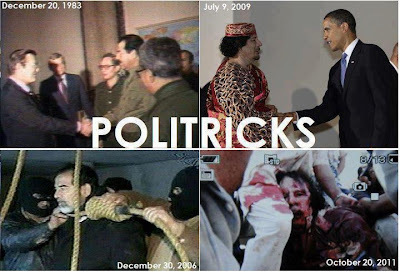 With immediate affect arrest of all of those whose unlawful actions have directly resulted in, genocide, war crimes, crimes against peace, crimes against humanity, abuse of Human and Civil rights and ecocide. This is not a political issue, it is one of law. 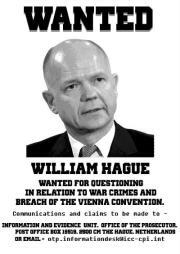 The method used by British Governments to persuade the nation to wage war is as old as the hills - lie repeatedly about the illegality of war. 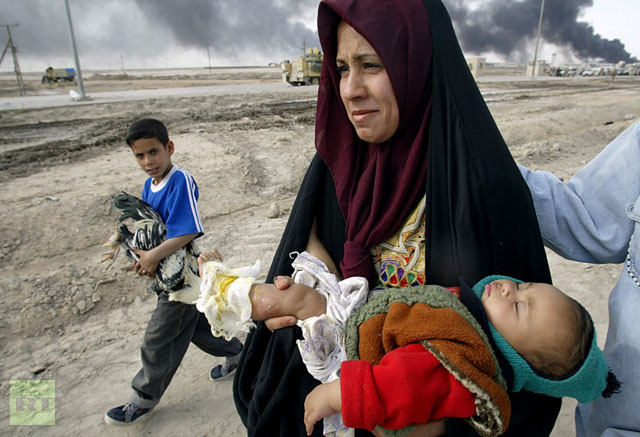 The British Government used the same lie to promote the war with Libya as it had done for the wars with Afghanistan and Iraq - that military action by HM forces is lawful and authorised by the UN Security Council operating under Chapter VII of the UN Charter. “The Attorney General has been consulted and Her Majesty's Government is satisfied that this Chapter VII authorisation to use all necessary measures provides a clear and unequivocal legal basis for deployment of UK forces and military assets to achieve the resolution's objectives”. One man's trash is another man's treasure, they say, and while it may be difficult to find something good to say about the vast amount of plastic waste we're creating, it may be that some of that waste plastic will get turned into new and useful products, thanks to the magic of 3D printing. This is a message to everyone who wants to take part in the 14th November European Mobilisation. First of all, thanks for your mobilisation. Each person count, our strength is in our number. Then, there are a few things to keep in mind in order to succeed the manifestation you’ll take part of the best possible way. 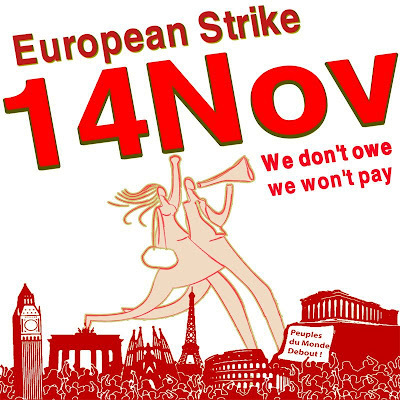 If nobody has given you the way to walk for the strike, make your own proposition, make it. the initiative you take doesn’t have to stop dialogue, we go further when we are many together. Library campaigners have been dealt a bitter blow after the owners of two of the branches axed by Brent Council have announced they will not be offering them to the community. All Souls College, which owns Kensal Rise Library in Bathurst Gardens and Cricklewood Library in Olive Road told campaigners in a meeting yesterday they were to sell the building to developers. Members of the Friends of Kensal Rise (FOKR) Library had been desperately fundraising in an attempt to raise the £70,000 they needed for a proposal to run a community library. They exceeded their target by around £10,000 and put a proposal to the Oxford College last month. Campaigners from Cricklewood also put forward a similar proposal. Margaret Bailey, a member of the FOKR campaign, told the Times the news was ‘very disappointing’. She said: “They have rejected our proposal, and have gone a developer who wants to build flats. Last year Brent Council permanently shut down Kensal Rise and Cricklewood Libraries alongside four others and earlier this year handed control back to All Souls College, who donated the buildings to the council in 1900. 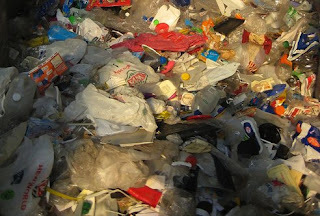 An intresting view into squat life and the waste of resources in the world. It was a busy day media wise for the occupied library. 12 noon we had the Daily Mirror in,we linked them up with the locals especially the barnet bloggers who had a lot to say to them on saving the libraries and stopping the Cuts. In the afternoon i did an interview around 3 pm with the South West Londoner about squatting new laws and the library Occupation. Then at 4pm spoke to national french radio about the effects of the draconian squatting laws and the massive support to save the library. Mentioning lots about the cuts and the tax dodging multinationals,starbucks,vodaphone ,facebook ebay etc who if they paid their taxes could save the Public services that we see being slaughtered before our eyes upon the altar of Privatisation. 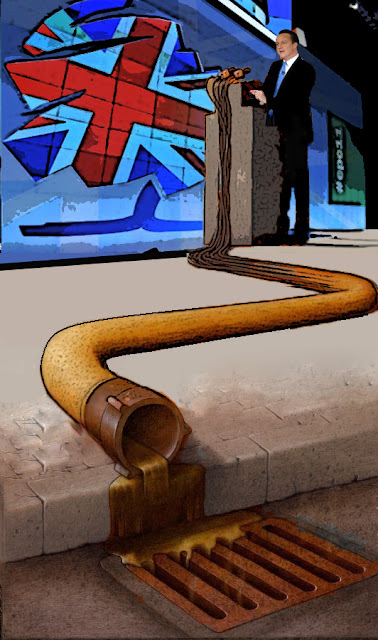 We are paying for the bankers crisis a cartel that we are seeing crumbling daily. All in all a good day for raising media awareness. also FB group friern barnet library occupied and liberated. Film night @ the Garden Centre tonight! 'London is the Modern Babylon'. A history from below. Part of the current London Film Festival selection. Food on donation from 6.30pm film from 8pm. 1 Rochester Square Camden, NW1 9SD. Phoenix intro at 'The Billion Pound Gamble' film about the privatisation of Barnets Public services.Phoenix Cinema. Many Hospital A and E and childrens services are to be Cut. Save our NHS Tax the Banksters. despite very little publicity for yesterday's union-organised march in london, there was an impressive turn-out, with huge numbers still waiting to leave the embankment at the time the front of the march entered hyde park. 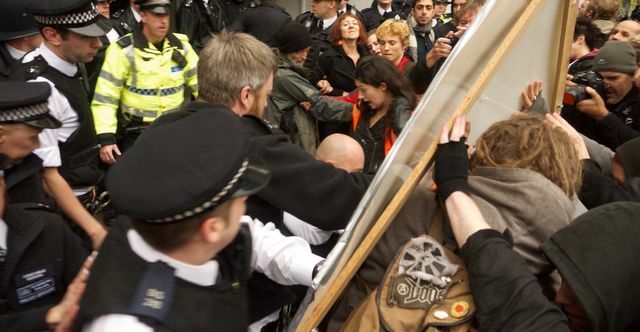 as DPAC closed down park lane, and activists targetted oxford street workfare and tax avoidance stores, policing was sporadically violent, very high on surveillance, but with very few arrests. Great pictures and in depth report onlink below. Austerity has failed – the economy has not grown for two years, unemployment and youth unemployment have risen, living standards have been squeezed and borrowing is not coming down. 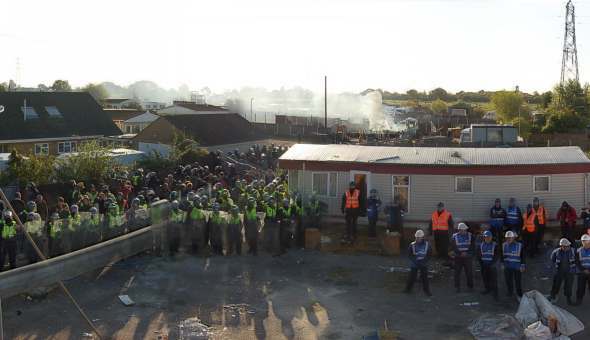 The Dale Farm eviction in 2011. Photo reproduced with permission from the Traveller Solidarity Network. One year ago, the violent eviction at Dale Farm, near Basildon, Essex, prompted the largest mobilization of settled people in support of Travellers ever seen in Britain. But despite this the families were removed on 19 October 2011 and their struggle is not over. With the prospect of a second eviction looming for those that have resettled nearby, a number of residents are severely depressed, and many are seriously ill. Travellers have the lowest life expectancy of any ethnic group in Britain. A year to the day since the evictions began, the Traveller Solidarity Network will be protesting at the Department for Communities and Local Government. 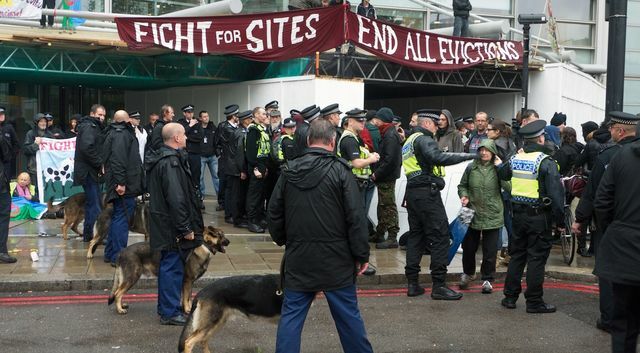 Billed ‘The eviction to end all evictions,’ activists want to highlight the worsening situation both at Dale Farm and for Travellers and Roma across Britain. For a brief moment, as activists and residents worked together to try and save the Dale Farm site in 2011 the mainstream media suspended its customary hostility towards the Travellers community. Local newspapers, however, continue to play on the prejudices and fears of NIMBY (‘not in my back yard’) settled people, adding ‘not another Dale Farm’ to their arsenal of anti-Traveller soundbites. Eric Pickles, Secretary of State for Communities and Local Government, joined them last week by ushering in a new policy to avoid a repeat of an eviction that cost £7 million (over $11 million). Brilliant, we say, but it seems Pickles has got his reasoning all in a pickle. Word on the street is that you can’t go assaulting an ethnic minority with an army of riot police because you don’t agree with the way they live. And it’s not okay to then leave them, traumatized on the roadside without water or electricity supplies, with nowhere else to go. What Pickles is concerned about is that the Dale Farm families were able to mount costly legal challenges against their original eviction. What we need he says is faster, unopposed evictions, and less authorization of Traveller and Roma sites. In other words, fewer Travellers. The Dale Farm families had bought the land they lived on, under government guidance, after numerous previous evictions. In the aftermath of last year’s eviction, some were accommodated by relatives on other sites for a short period. But local councils threaten revocation of a family’s license if extra caravans are present – it’s rather like the the government telling you that your cousins can’t stay with you for more than a couple of weeks. So the families returned to the road next to the hazardous ruins of their old home. Much anti-Traveller racism manifests itself as ‘cultural’, focusing on perceived attributes and behaviours of a community. This kind of racism may distance itself from the old-style biological racism, but it’s damaging all the same. The state violence against a culture and community such as Dale Farm is reiterated every day in the refusal to give planning permission to Traveller sites. Already over half the population of Travellers and Romani Gypsies live against their will in bricks and mortar housing. The Localism Act of 2011 is exacerbating the national shortage of nearly 6,000 Traveller pitches nationally by removing the duty on councils to identify sites for this purpose. Instead, the Government now leaves them to set their own targets, a move that has already more than halved the number of planned new pitches. This will further fuel tensions between settled and Traveller communities and increase spending on evictions. Who will profit? Companies like Constant & Co, the firm of bailiffs that made £2 million ($3 million) from evicting Dale Farm. In some cases, the Act allows for Travellers to be evicted from land they have bought before their application for planning permission has even been heard. It also puts pressure on housing needed by settled people. The Fight For Sites campaign has been launched, calling for a system in which the right to culturally appropriate housing is safeguarded, and racism is not tolerated. 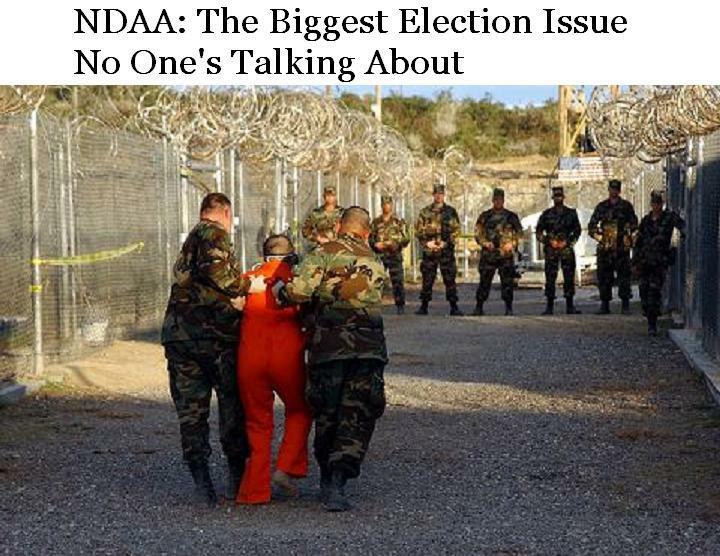 The National Defense Authorization Act of 2011 (NDAA) was signed by President Obama on New Years Eve last year. It allows soldiers to arrest U.S. citizens on U.S. soil. The National Defense Authorization Act of 2011 (NDAA) was signed by President Obama on New Years Eve last year. It allows soldiers to arrest U.S. citizens on U.S. soil. It allows Americans to be held in overseas military prison camps, indefinitely without trial. And nobody is talking about it in this election (because Obama & Romney both support it). 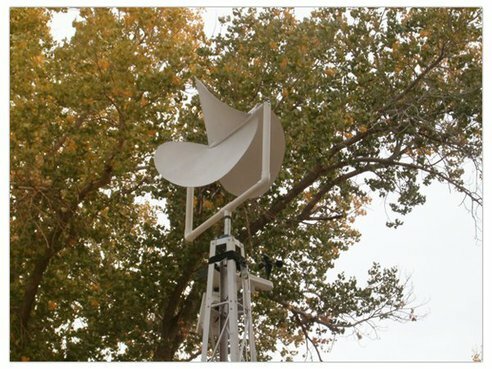 Best Cleantech News for Your Weekend Reading October 13-14, 2012Solutions Zone TV | "Networking solutions for a sustainable future"
Solutions Zone TV | "Networking solutions for a sustainable future"
A 10-fold rise in Marine Protected Areas has been recorded over a decade. London Indymedia shutting down....... long live Indymedia UK. Indymedia has been an activist communication channel for over a decade,providing updates and reports for many actions ,projects and events.The excellent work of the Indymedia collective helped to push many new angles in media particularly citizen journalism. House of Brag: The London Queer Social Centre is having its opening event this Saturday 13th with breakfast, talks, stalls and workshops on squatting, queer homelessness, yoga, creative writing and more from 11am-6pm, with live poetry and music with open mic slots available from 7-11pm. The address is 42 Braganza Street (entrance on Doddington Grove) just 2 minutes walk from Kennington station (Northern Line). Tell your friends and hope to see you there! A raucous cheer that went up in a packed county court room in Barnet this week could reverberate around the nation's town halls this winter. As David Cameron prepared to deliver his "aspiration nation" speech to the Conservative conference in Birmingham, 110 miles away in Margaret Thatcher's former constituency a hotchpotch alliance of squatters, retired booksellers, local bloggers and international anti-capitalist activists whooped as a district judge blocked attempts to close a vibrant community library that has popped up in the shell of one controversially closed as part of the Conservative party's most radical experiment yet in shrinking local public services. 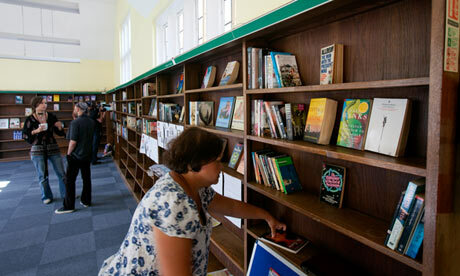 In the month since the Friern Barnet library reopened – illegally, according to Barnet council, which wants the site sold to raise upwards of £400,000 – local residents have donated 5,000 books to restock the shelves. A volunteer staff of guerrilla librarians have kept the building open 48 hours a week; there are children's story sessions and exercise classes; and the lights are kept burning by donations dropped into a biscuit tin. It might sound like an exemplary vision of the so-called "big society": a community looking after itself following the retreat of the state. But the sale of this 78-year-old library is part of the radical reform proposals formulated by Barnet – labelled "easyCouncil" for its vision of a no-frills approach. Plans include outsourcing £1bn of contracts to private companies for running everything from the crematorium to the planning and building control departments, sharing lawyers with another council, closing day centres for the elderly and quadrupling some parking fees. Judge Marc Marin ordered a full trial of the competing claims to the library, to the disappointment of the council. Peter Phoenix, the blond, dreadlocked spokesman of the council's opponents, was delighted. "It looks like the kids get Christmas in the library," he said with a whoop. "We've got Conservative central office worried here. They wanted to have success here and then roll this model out across all the boroughs." The need to make cuts is real but the big question is how to do it. Barnet has published a chart – known locally as "the graph of doom" – which shows how it will have no money to spend on anything apart from children's services and adult social services by 2030 because of rising costs and declining and flat budgets. Its "One Barnet" policy is perhaps the most radical response yet to 28% cuts in Whitehall funding of local authorities across England and Wales. "We have been cutting for 10 years in Barnet," said Richard Cornelius, leader of the council. "We can't keep salami slicing so we have had a complete look at the way we do things. Our idea is to take the money out of administration and keep providing the services, but we won't be doing it directly. We are scheduled to save more than £65m." "I don't think Mr and Mrs Resident are too bothered about who delivers the services," added Dan Thomas, deputy leader of the council with responsibility for finances. "Yes, it's a bold move because it is the first time some of these services have been outsourced in local government, but there's nothing wrong with being first." According to local government analyst Andy Mudd, in a report for the public services union Unison, the reforms go to "the heart of local government responsibilities for the safeguard and protection of public health and economic wellbeing". He said "the impact of failure could be catastrophic". Opponents believe the project is already in trouble and the prospect of a trial over the library is not the only problem. The council's own figures, seen by the Guardian, reveal that over the last two years the borough has spent £670,000 more on trying to save money than it has actually saved, although the project is now edging into the black. The programme has so far cost £6.36m, while the savings have amounted to £5.69m. Last week, one of the chief architects of the reforms, council chief executive Nick Walkley, resigned unexpectedly, while councillor Brian Coleman, who oversaw the privatisation of parking services, is currently on police bail after allegations he assaulted a woman who filmed him parking in a loading bay. Other hard-cutting Tory councils appear to be in crisis too. The deputy leader of Cornwall county council resigned on Thursday over a £300m outsourcing plan that is facing a popular revolt. The council had hoped to save £2.5m a year by outsourcing services including payroll, benefits and libraries. In his resignation letter, Jim Currie said: "The financial risks involved with the rush into the new joint venture proposals are unacceptable. The joint venture is basically too large to control." Last year, Suffolk county council halted its own "virtual council" plan to outsource its services. In Barnet, emotions are running high and Thomas concedes there can be "shouting and screaming" in council meetings. BT, Capita and EC Harris are vying to take over two major contracts – one estimated to be worth up to £275m over 10 years to run building control, planning, highways and transport, the crematorium and cemetery, trading standards, licensing and environmental health. The planned outsourcing of back office services has been estimated to be worth up to £750m. Youth services have been cut almost in half from six youth centres in 2010 to three this year and the number of full-time equivalent staff has been cut from 99 to 55. A nurse working in sheltered housing where wardens have been removed told the Guardian: "I have residents who sit in their nightclothes all day because they cannot afford the alternative. Where is the dignity in this? "These same folk who used to love going to a day centre can no longer go as, they tell me, it costs £35 per day and an extra £5 for transport. So now they sit all day, staring at four walls or at the TV. Where have we gone so wrong?" All this has been met by an insurgency of residents, trade unions and a broad coalition of investigative bloggers. Their names give a clue to the knockabout tone of political debate: Mrs Angry writes a blog called Broken Barnet, while others go under the names Mr Reasonable, Mr Mustard, Barnet Eye and Citizen Barnet. "The community library is the 'big society' by definition, but it is not the 'big society' as the government envisaged it," said Mrs Angry, whose real name is Theresa Musgrove. "They wanted the 'big society' to be obedient and to enable the cuts they wanted." But there is also anecdotal evidence that the aggression of the council's cuts is alienating core Conservative voters. Ann Foskett, a Tory-voting grandmother who has lived in the area for 40 years, dropped off a bag of books at the library as the activists celebrated their court victory with tea and biscuits. She said the closure was "absolutely scandalous" adding: "I do vote Tory normally, but things have gone to pot, particularly for old people. There used to be lots of local groups meeting in libraries, but there's nothing now." Invite your friends for your local event on O13. Blog about it, make photos, videos or livestream your local event and tag your contributions with #GlobalNoise. THE battle over Friern Barnet Library will continue for another two months after a judge adjourned eviction proceedings until mid-December. Squatters occupying the former library in Friern Barnet Road have just over two months to prepare their defence against Barnet Council, which is attempting to have them removed from the building. The local authority closed the library on April 5 as part of plans to sell off the building. Council chiefs want to merge Frien Barnet and North Finchley libraries to create a new library at artsdepot in Tally Ho Corner. Since the building’s occupation in September, the group has set up a community library and met with the authority on five occasions to discuss establishing a permanent library in Friern Barnet. 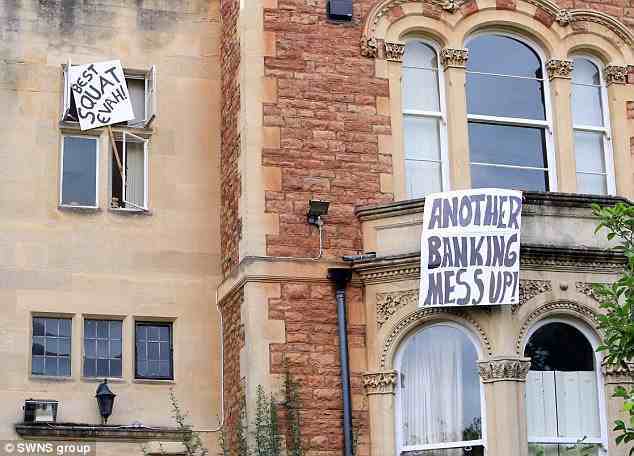 Uprising message from the Cardiff Squatters who recently succesfully resisted eviction. Since the Declaration of War on the homeless and dispossesed by this condemned Government on September 1st, the barricades have gone up around the nation,from London to Cardiff, Bristol,Birmingham and Brighton. We all have a right to shelter.Homes not Jails.Organise in your neighborhoods community resistance is fertile. Today was the day that Barnet Council went to court, expecting to be given an order enabling them to evict the community squatters occupying Friern Barnet library. 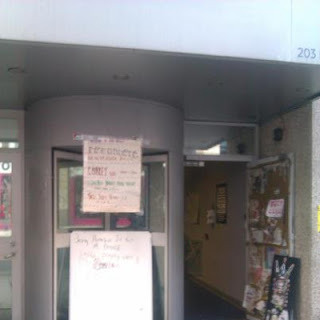 Today was the day that Barnet Council was not given an order enabling them to evict the community squatters occupying Friern Barnet library, and so the occupation continues, at least until the week before Christmas, when the judge has ruled there should be a full hearing of both sides of the case. 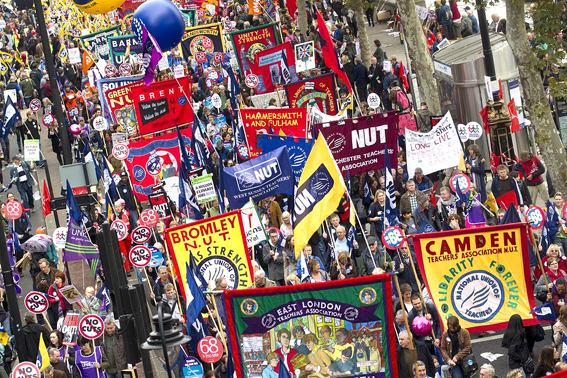 The conference opened on Sunday 6th where a 5000 strong crowd of protesters, Unions, students and unemployed marched through the streets of Birmingham. All of them angry at cuts to their local services and how the governments austerity measures are affecting them. The demonstration, organised by West Midlands TUC started in Victoria Square, marched around the city and then down Broad Street past the ICC where the conference was being held. The march was joined by an education feeder march organised by Birmingham NUT and Birmingham Against the Cuts. As in previous years many parts of the route were contained by 10ft solid steel police barriers. Later on Sunday a demonstration organised by Hunt Saboteurs and Animal Rights activists was held outside the conference to protest the the Coalition Government's plans to tackle Bovine Tuberculosis (bTB) by attempting to cull up to 70% of the native badger population, despite strong opposition by countless animal welfare groups, scientists and activists. Police had tried to prevent people joining the protest by claiming the protest was "full", however activists simply joined the protest by finding other routes to it. Police had also attempted to kettle the demonstrators at the start of the protest by trying to direct people into a "pen" on the opposite side of the road from the conference. However, standing their ground the activists refused to move and sat down in a line in front of the Police to avoid being pushed away from the entrance. A group of Hunt Sabs then tried to gain access to building to occupy it but where prevented from doing so. 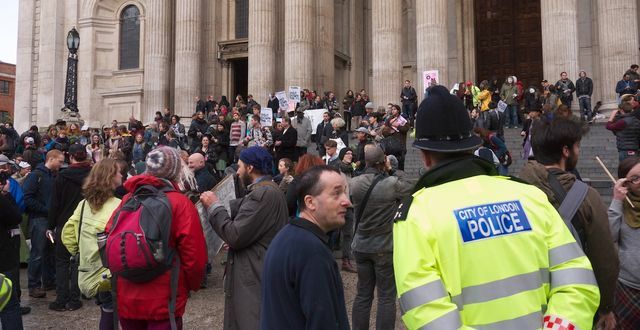 On Monday hundreds of people gathered outside Birmingham Town Hall to protest a Conference fringe event. The event organised by Coalition 4 Marriage (C4M) was aimed at persuading Tory’s to vote against Gay marriage and in favour of unequal marriage rights. The event had been officially advertised in the Conservative Party Conference fringe guide and was also promoted in the Daily Mail newspaper. 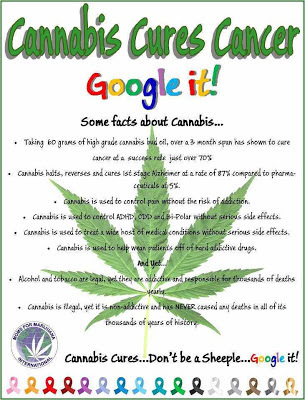 The organisers C4M are know to advocate "Gay Cures". The protest labelled "Picket the Bigots" organised by LGBT campaign group West Midlands Love Music Hate Homophobia jeered and shouted loudly at Tory bigots as they entered the building. The fringe event was attended by many senior Tory bigots including Anne Widdecombe who also gave a speech at the event along with leading religious bigot former Archbishop of Canterbury Lord Carey who laughably compared himself being called a bigot to the persecution the Jews suffered during the second world war. Birmingham’s own councillor for Weoley ward Peter Douglas Osborn well know for his archaic and bigoted views was seen at the event and even came out to take a photo with a smug smile on his face. Later on Monday a Vigil was held to remember those who were murdered in the Ballymurphy Massacre. The Ballymurphy 11 were murdered during the first three days of internment (Aug 71) in Belfast by the 2nd Battalion of the British Army’s Parachute Regiment. This same regiment went on, 5 months later, to murder 14 demonstrators on Bloody Sunday in Derry. The families are demanding an independent investigation, a full apology from the British Government and a statement that the victims were innocent. On Wednesday Sacked Remploy workers demonstrated outside the Tory Party Conference over the closure of 36 Remploy factories with compulsory redundancy for 1,752 people of whom 1,518 of these are disabled. Remploy supports disabled people into work and one of the main things it does is provide workplaces where disabled people are fully supported. 36 out of 54 sites are closing, leaving 1,500 disabled people out of work. 85% of Remploy workers laid off in previous closures are still looking for work and with the economy in the state it’s in, this is likely to be repeated for any workers losing their jobs here. What awaits them is cuts in disability benefits and the ATOS assessment process which doctors say is driving people to commit suicide. With advice services looking to be "overwhelmed" by disability benefit casework, the future does not look bright for Remploy workers. 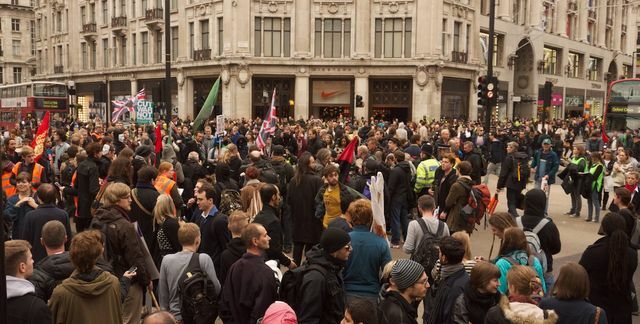 George Osborne wants the workers of the world to unite, apart from organising in the workplace the next big opportunity to do so is October 20th, several radical workers and anti-capitalist blocs have been announced. 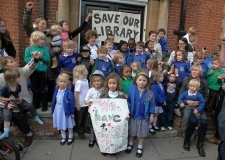 Awesome victory in court today for the friern Barnet community library the judge adjourned the case till December 17-21st.great news for the local and national save libraries campaign,beacons of community knowledge and learning.www.fbpeopleslibrary.co.uk or www.savefriernbanenetlibrary campaign. We the residents, students and workers, are petitioning Barnet Council to RE-OPEN our local library. 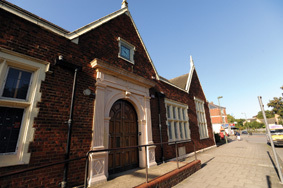 Friern Barnet Library in its present place and shape is an integral part of community life in the surrounding area. We want a cheerful local library. This is a chance for Barnet Council to show they ARE listening to local residents and reverse the bad feeling caused by the closure of this lovely library. Barnet Council closed the library last April because of budget cuts, and are planning to sell it off. The library has been a vital hub for the community since 1934 – providing everything from personal finance advice and pilates classes to computer access, as well as offering warmth for the elderly struggling with heating bills and a safe, quiet place for kids to do their homework. 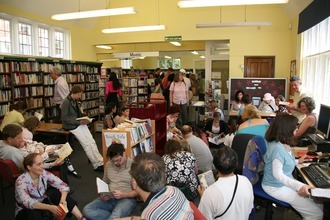 Occupy London activists occupied the library in early September, and re-open it for the community. Thanks to books and computers donated by local people it is now being run by community volunteers on a rota basis. The occupation has the blessing of many residents who are delighted to see the locked doors of the library flung open once again. But Barnet Council have started eviction proceedings. Help us to keep our library open. We need 7,000 signatures to trigger a debate by the council. Early yesterday evening on Saturday 6th October we visited the newly opened office building 'Hobo Hilton' , at 203 High Holborn, which has apparently been empty since 2003. 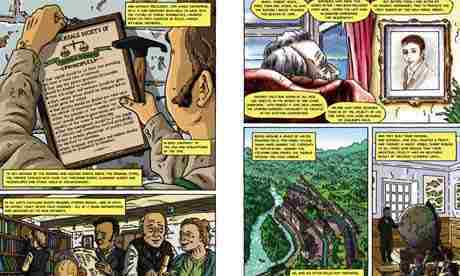 It is not the most obvious candidate to be a graphic novel – but, claim the authors, the history of the Co-operative movement and the outstanding radicalism of its 28 Rochdale Pioneers is every bit as thrilling as a story of superheroes. The Co-op is publishing The Co-operative Revolution to tell the story of a movement that now employs more than 100 million people across the world, but which began in east Lancashire back in 1844. The financial crisis has been an undoubted spur, says the Co-operative's head of social goals, Paul Monaghan: "We thought, if this is not our moment, that if we don't get out there and be a little more assertive, then what do we deserve?" He wants the movement's story to be much better known. 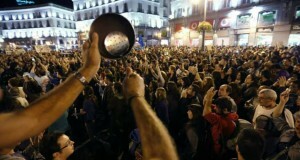 "These people were the Occupy movement of the day, but they were more radical than Occupy. They did something deeply practical, which spread round the world. What these people did back then, with the little that they had, shows what is possible." The people he is talking about are known as the Rochdale Pioneers, the 28 men who came up with the principles co-ops around the world follow to this day. It's a thrilling story set against the backdrop of grinding poverty and hunger as well as events such as the Peterloo massacre, in 1819, in which police killed six people and badly injured 600. "There is this picture of them as 28 northern men, with cloth caps, concerned about the provision of clean, cheap, unadulterated food for the masses. But they were about so much more than that," said Monaghan. "These were deeply radical, revolutionary individuals, and we want that side of the story to come through as well." The book, created by the graphic novelist Polyp, tells the history of the pioneers, and imagines a future in 2044 – after "the Co-op Spring" – with Rochdale's new pioneers launching a mission to Mars. In another section, it shows just how many co-operatives there are around the world: everything from the Green Bay Packers American football team, to Ocean Spray soft drinks to Barcelona football club. Monaghan said: "It is a little known fact that there are more people who work in co-ops then there are who work in all the world's multinationals put together. There are almost 1 billion people who are members of co-ops, and they are an enormous part of the global economy. "People, particularly at the moment, are open to the idea of co-operation and mutuality again like they never were before." Monaghan said the co-operative economy had increased by 20% since the financial crash of 2009. 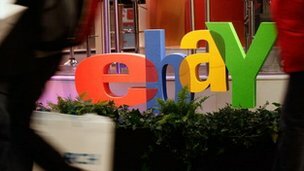 "It is filling some of the gaps left by traditional capitalism." He said everyone involved in the project had been motivated by the "passion and the creativity" of the pioneers. "It makes us feel humbled, that we've got to do our little bit. "We will be looking at sending free copies to schools, primaries and secondaries. We want schools to teach the co-operative model because we think it has got so much to offer." Besides the graphic novel, a film has been made by the Co-operative British Youth Film Academy that is due to be shown on Film4 later this year, and an exhibition of photographs telling the story of the pioneers and the movement opened in Birmingham last week. It can be seen at Centenary Way Bridge until 27 October. What we really need to stop these illegal wars is mass non violent direct action. Voters in California will decide on a proposal next month that would require the labelling of most foods made with genetically modified ingredients. 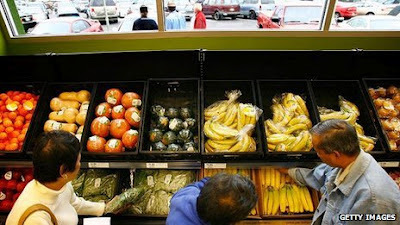 Proposition 37 is supported by the organic industry but many major food suppliers oppose it saying it will drive up prices. Around $40m is expected to be spent on campaigning with the majority coming from opponents. But a recent opinion poll shows a clear majority in favour of the proposal. There have been attempts in 18 states to change labelling laws on genetically modified foods via legislation. None have been successful. But after a grassroots campaign that garnered more than a million signatures, the measure will be on the ballot paper in California for the first time next month. If passed, the statute will require labelling on raw or processed food offered for sale to consumers if the food is made from plants or animals with genetic material changed in specified ways. Foods containing these ingredients would be banned from using the word "natural". The National Trust has been granted a legal order to evict people from the Runnymede Estate in Surrey. 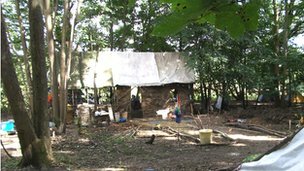 The conservation body, which owns the site near Egham, was granted a possession order to remove a number of squatters from the group Diggers 2012. 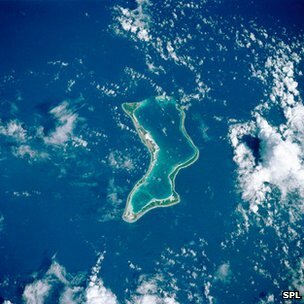 Spokesman Simon Moore said they had left the trust's land voluntarily. He said the group, which sets out to cultivate disused land, grow food and build shelter, were based on land neighbouring the Runnymede Estate. 'Three tents' "It has never been our intention to set up a camp on the National Trust land at Runnymede," Mr Moore said. "The dispute arose over three tents which were just inside the border of the National Trust land." 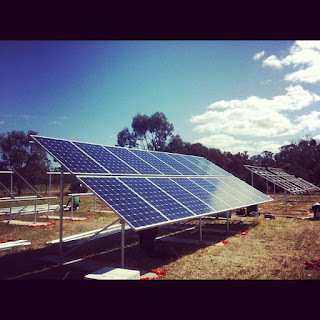 He added they were "a community of people who wish to lead a low-impact, sustainable life. "We are part of a campaign for wider access to disused land in the United Kingdom". Geri Silverstone, from the National Trust, said: "We certainly respect people's right to protest... we wanted to make sure that they were not getting in the way of other people enjoying that land and restricting access." Occupy will be celebrating the 365th year anniversary of the Putney Debates by holding a series of events inspired by the Levellers’ and Diggers’ demands for social justice, civil rights and access to the land. Contributors include Richard Wilkinson (The Spirit Level), Natalie Bennett (new Leader of the Green Party), Michael Mansfield QC, George Monbiot, Polly Higgins, Kate Pickett, John McDonnell MP and Professor Conor Gearty. Campaigners from the Hastings Alliance will be in the High Court this Friday, challenging the Court’s decision not to grant a judicial review of Government funding for the Bexhill-Hastings Link Road: the first and the worst of George Osborne’s ‘hundreds of new roads’. Come and show your support for their appeal – and your opposition to Osborne’s Roads to Nowhere – this Friday morning. Epic resistance going on in cardiff atm. 7 hour standoff between cops, bailiffs and squatters. First cardiff resistance in over a decade! Check indymedia/evictionresistance.blogspot.com for updates. Daily Mail Article Dont believe much what you read in the Dodgy press like innit. first two weeks saw over 3,000 books donated and they are still coming. seeing that happen more and more everyday. During the Week of Action, campaigners will walk from UAV Engines in Shenstone, an Israel owned factory making engines for drones, via Thales UK in Leicester, which is manufacturing the new Watchkeeper drone to RAF Waddington in Lincolnshire from where UK drones in Afghanistan will soon be controlled. Other events include cycle rides, protests at US bases, public meetings, street stall and petition hand-ins. 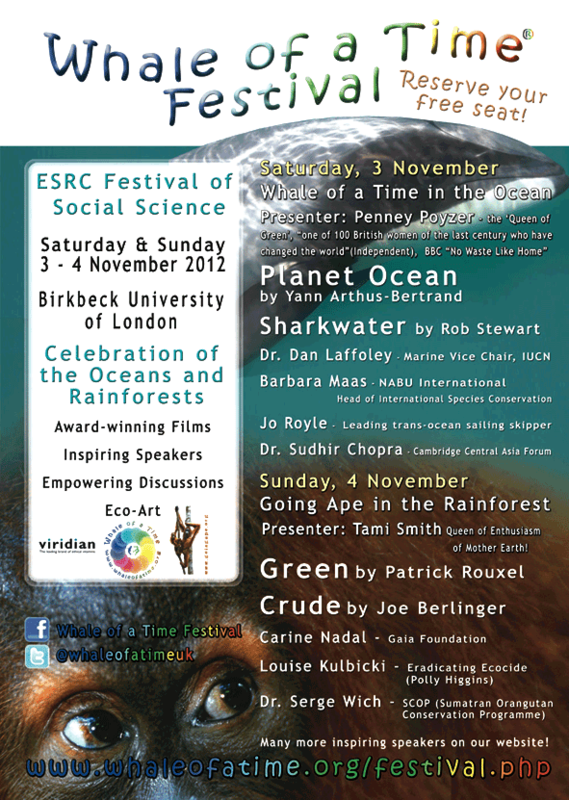 For details of events already organised see a regularly updated list here. You can also download or order resources.